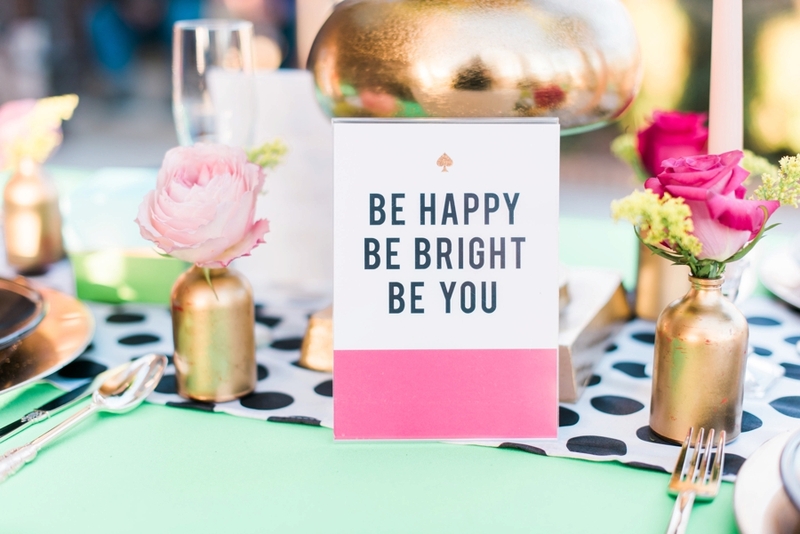 There are two things that we love at ELD- Kate Spade and color. 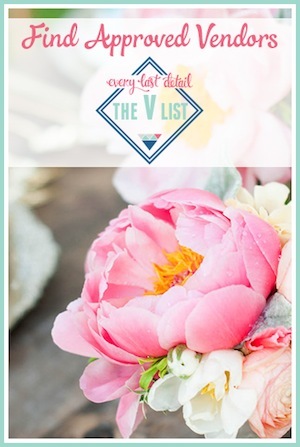 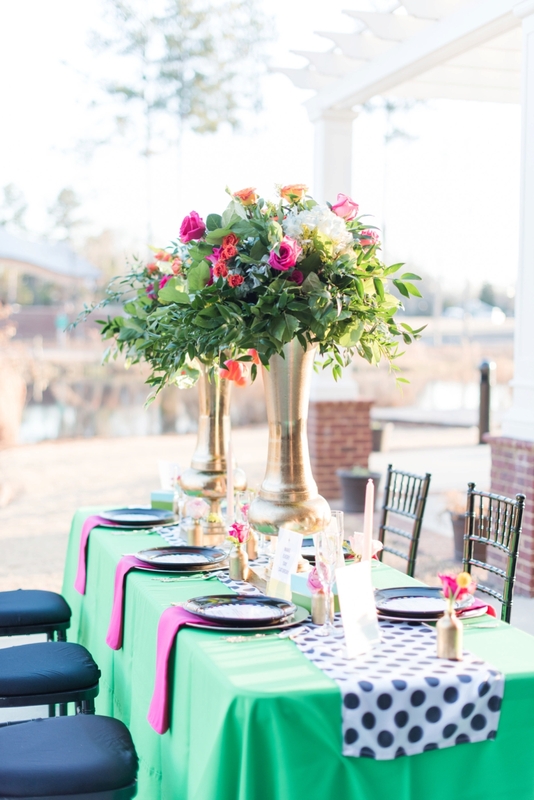 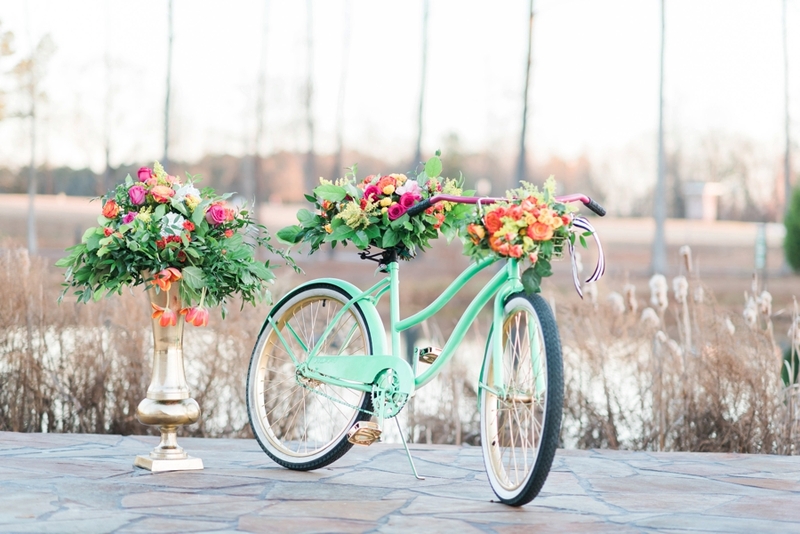 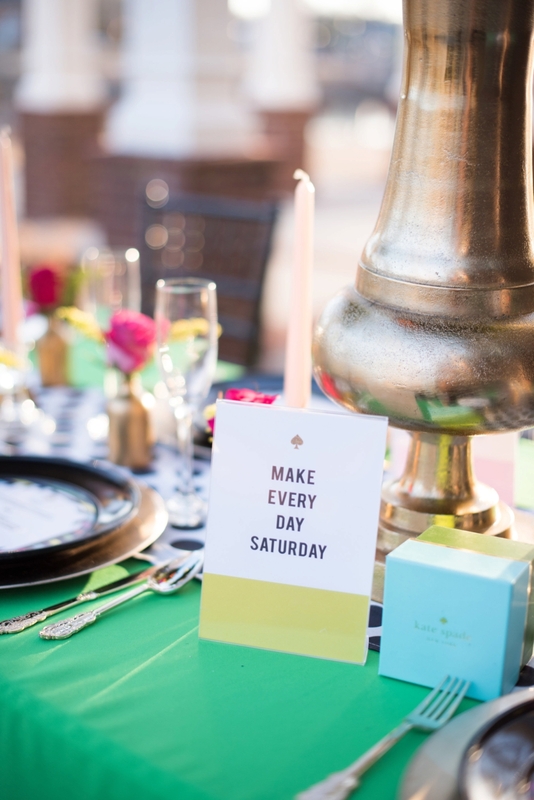 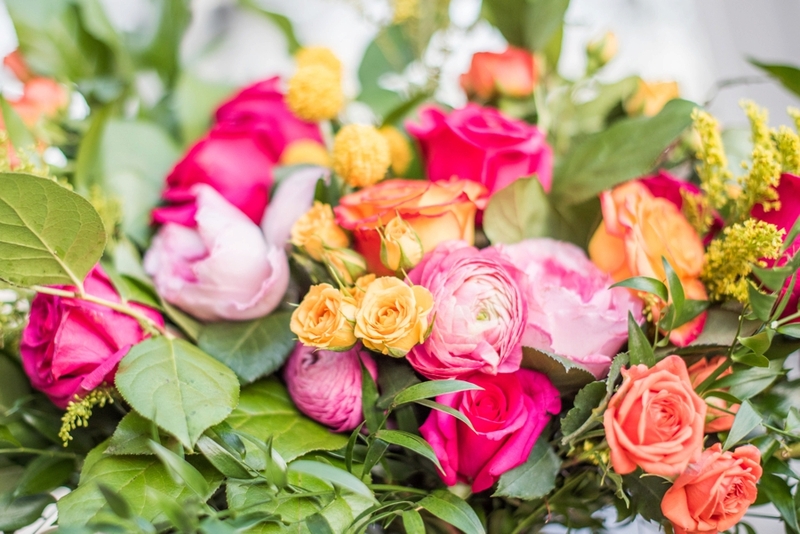 So when we caught a glimpse of this colorful Kate Spade inspired wedding inspiration, we knew it was a no-brainer to share here on ELD! 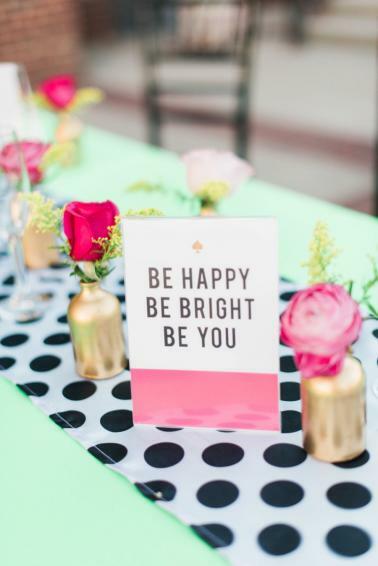 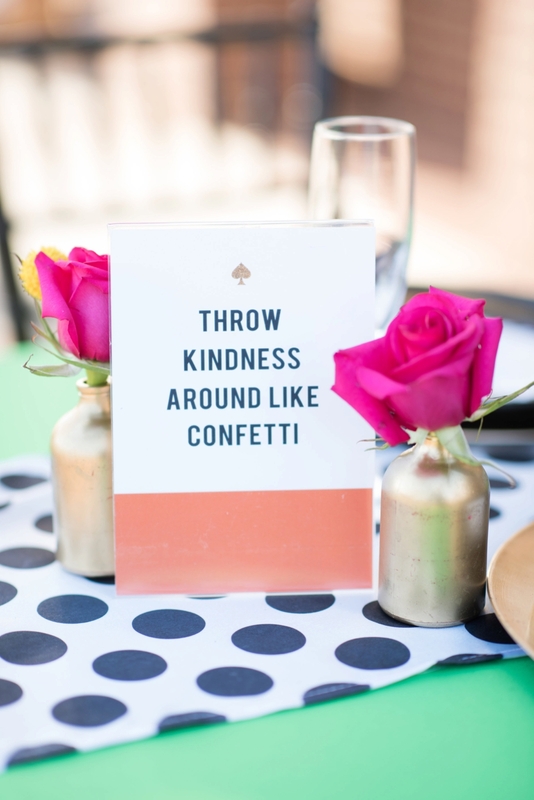 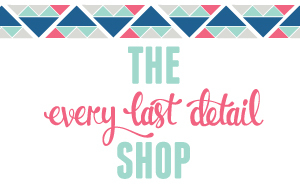 Inspired by the fun sayings and bold colors that the popular brand is known for, the result of this design would be perfect for just about any wedding event. 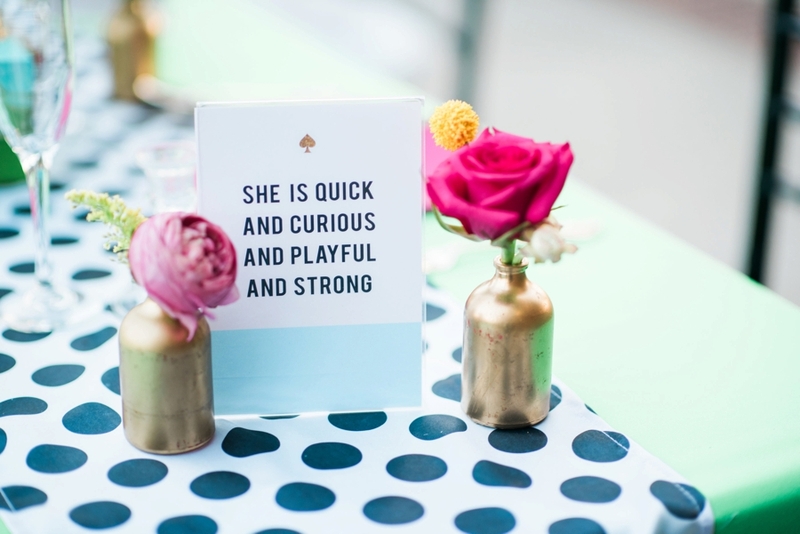 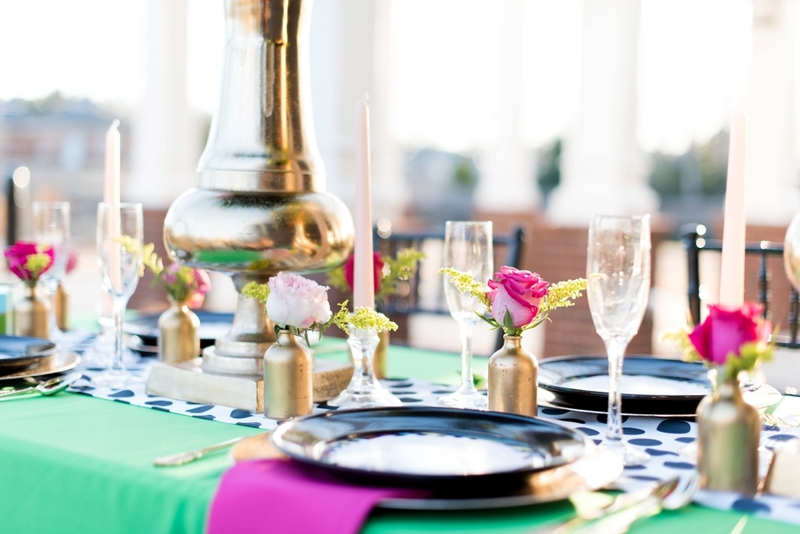 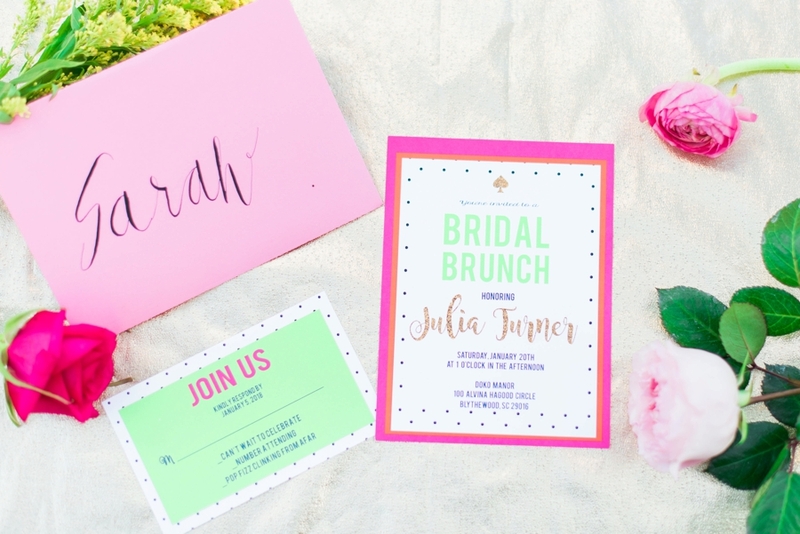 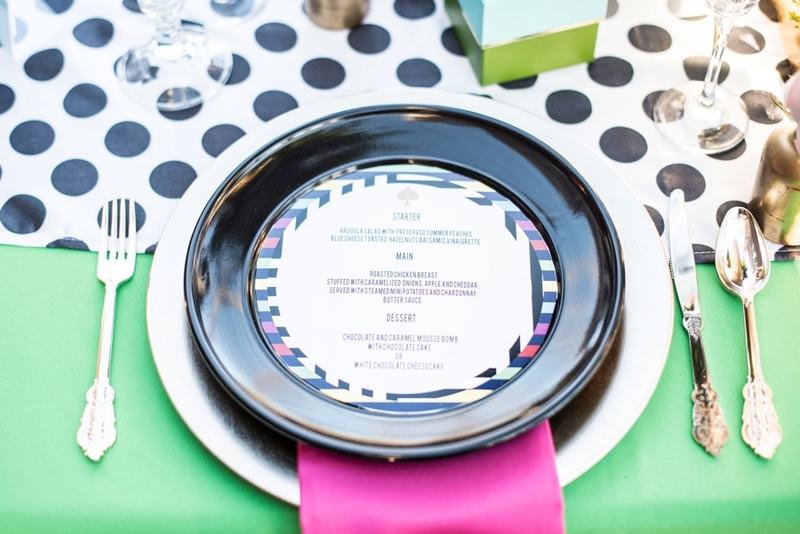 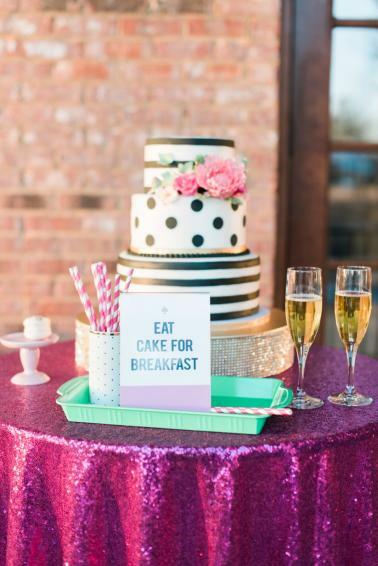 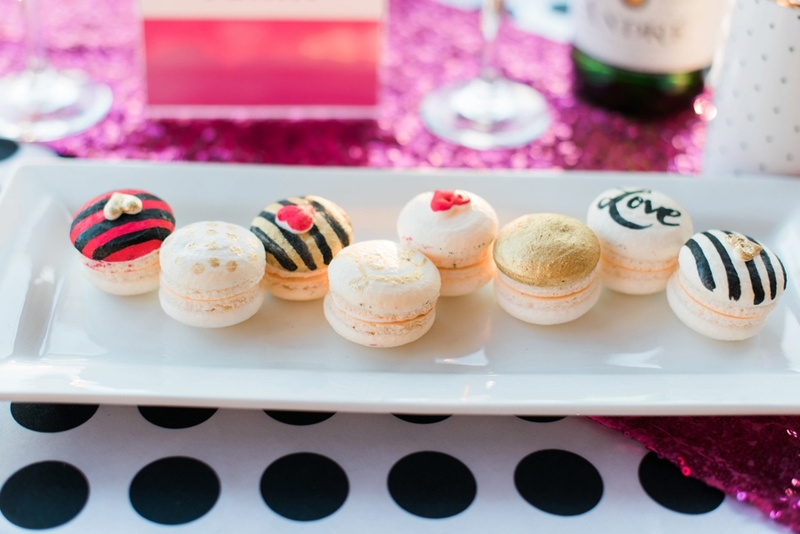 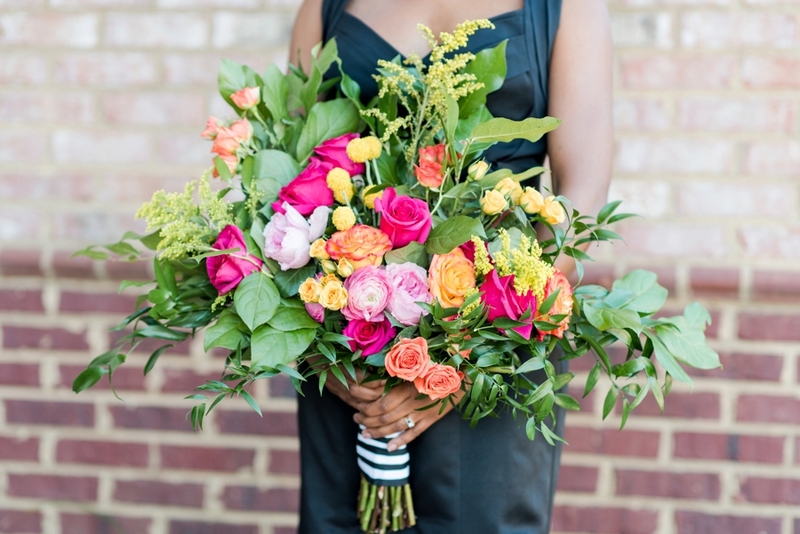 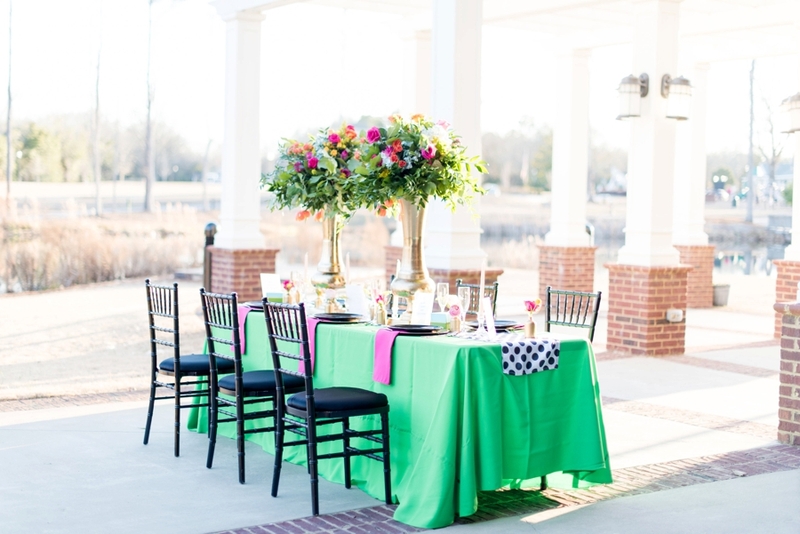 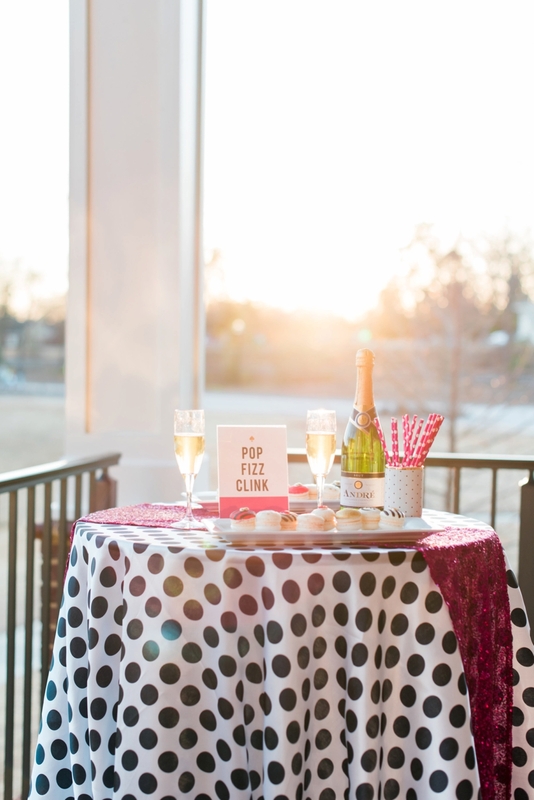 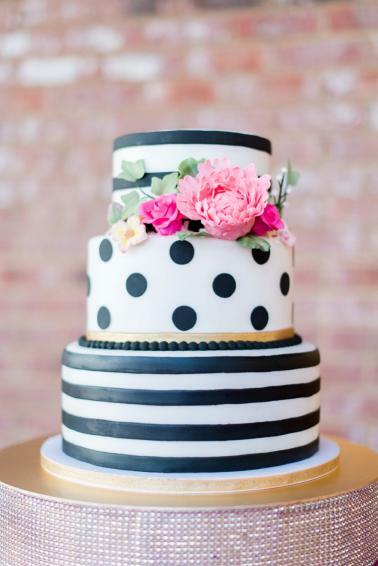 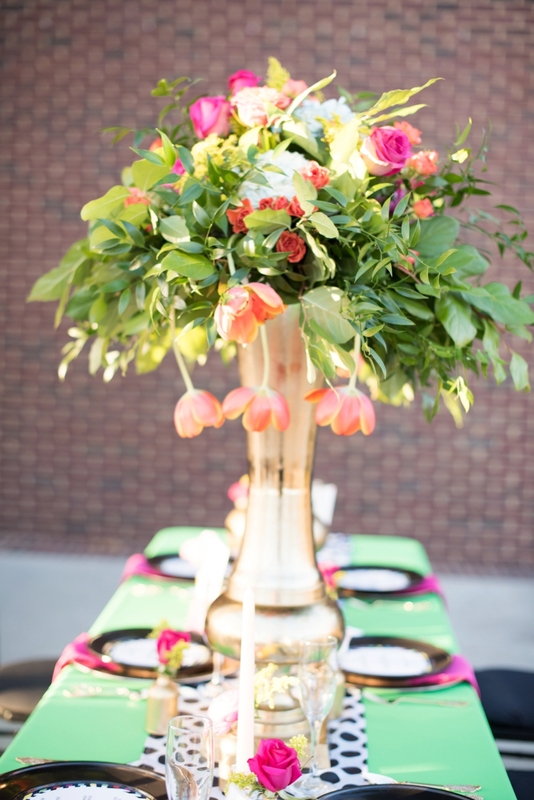 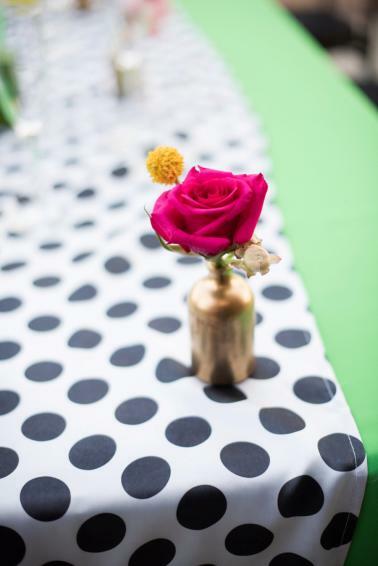 A fun design for a wedding day or bridal shower, a color palette incorporating shades of green, pink, and orange with black and white polka dots is beautifully modern and chic. 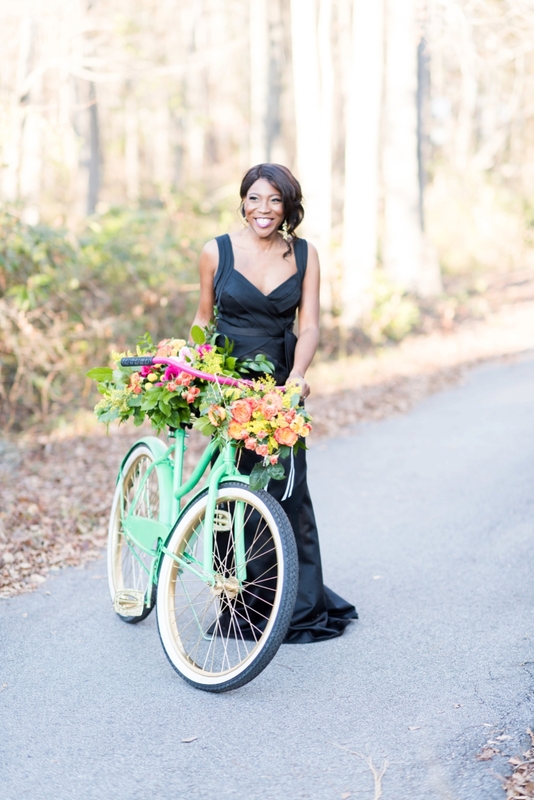 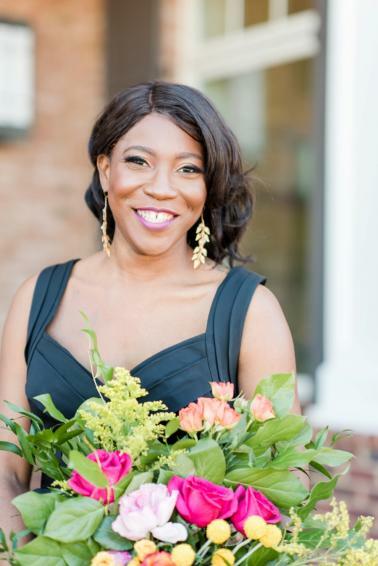 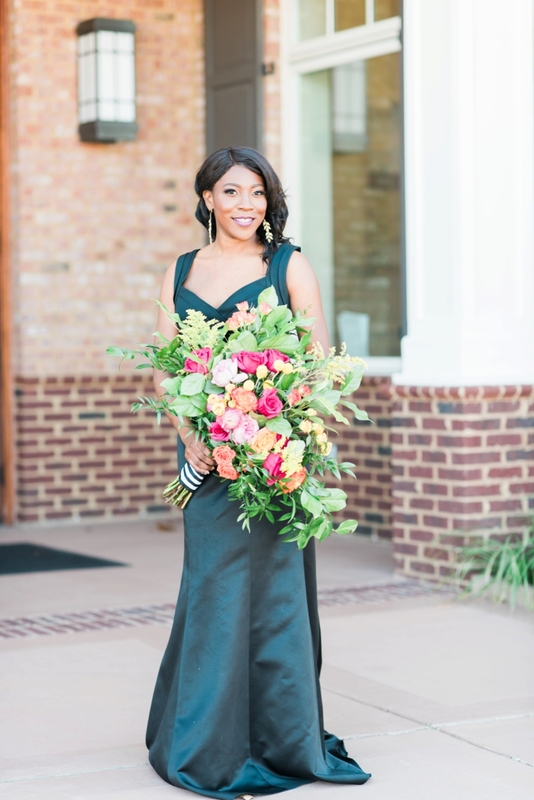 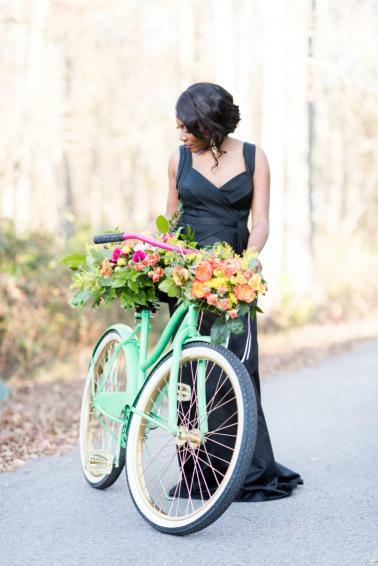 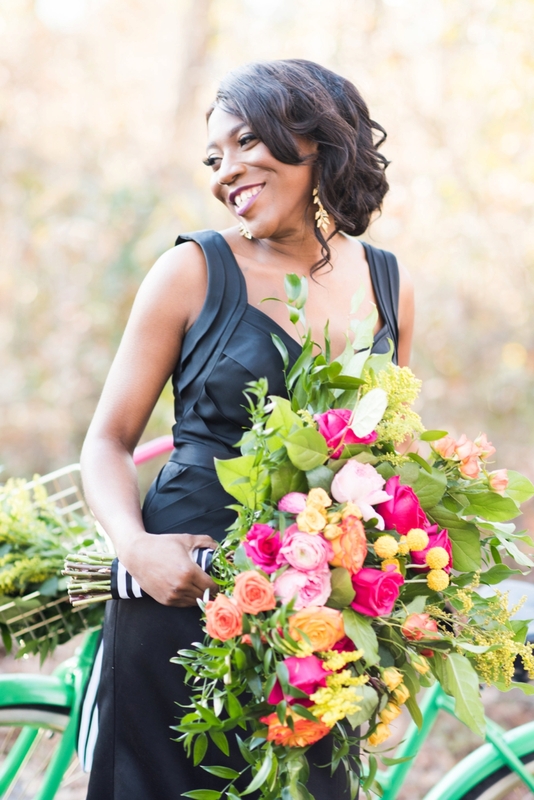 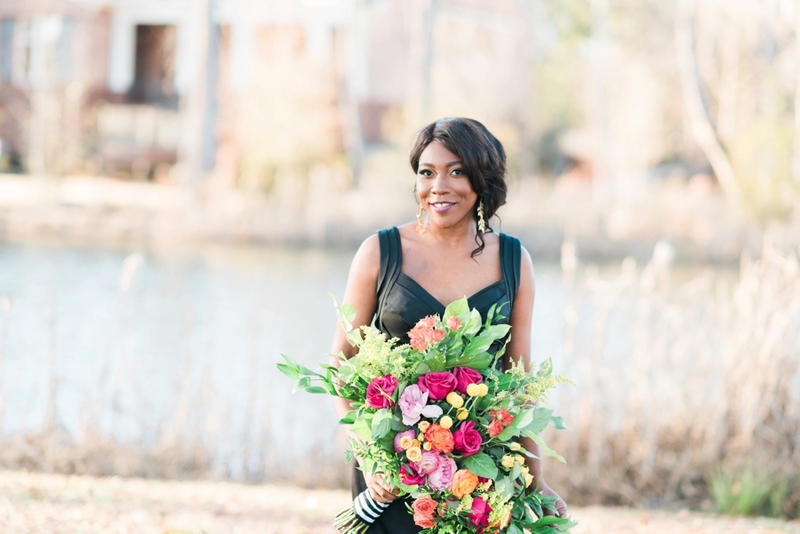 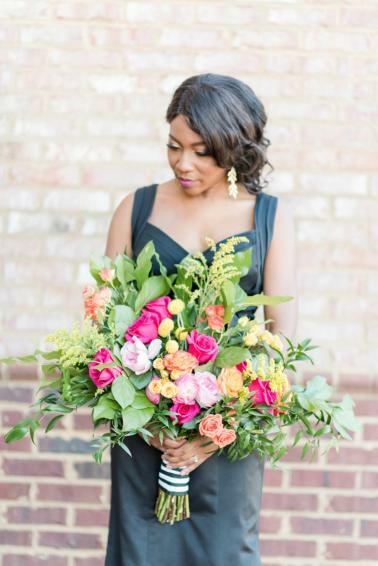 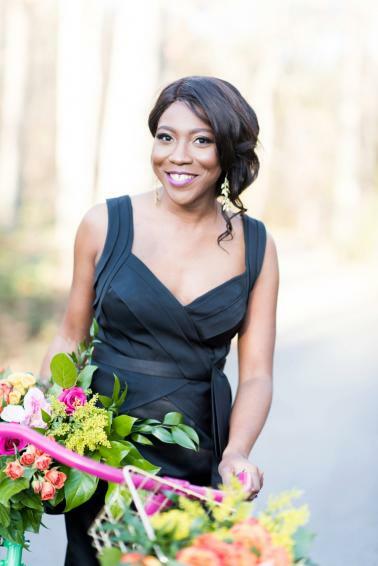 We think you’re going to love all of the details created by Weddings by Lashay Price and captured by Jessica Slater Photography!